The Tights are available in two different Fabrics, Super Roubaix and Lycra, and in three different items, Regular, Bibs and Bibs Knickers. All the models have an Anatomical pattern. No seams on the inside, three panel only, for a perfect COMFORT. 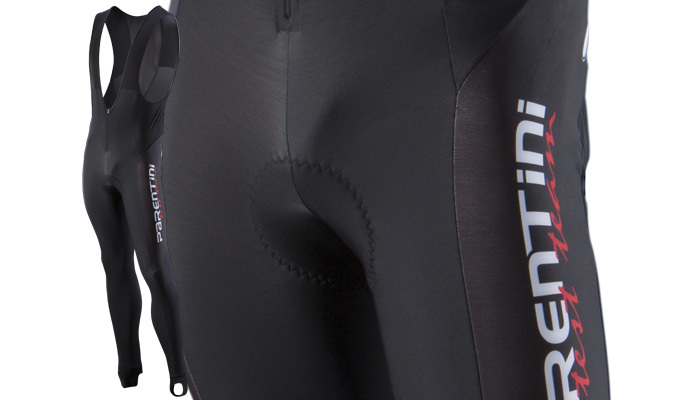 As one of our Pro riders said, “These Bib Tights fit perfectly. They don’t move around and you don’t feel its on your body”.